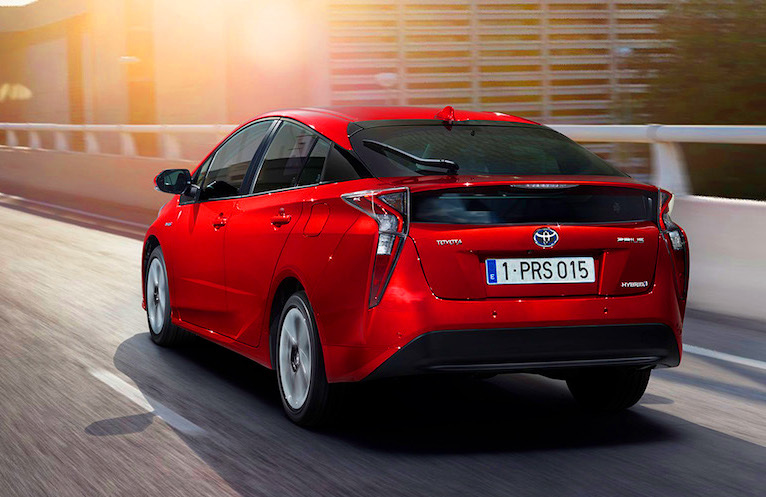 The styling is a matter of personal preference, as Toyota struggles to keep the Prius looking a bit ''different' from the rest of the stuff out there (including retaining that peculiar split rear window). But the limits of their 'Synergy' gasoline power-split hybrid technology are showing, as this offers only a modest efficiency improvement over its predecessor. The Law of Diminishing Returns continues to operate. The suggested 10% improvement over the current Prius falls within the range of driver technique variation. At around 4.3 l./100 Km, it's quite good, but by no means a breakthrough. As far as those diminishing returns ... for someone driving 12,000 Km/year, upgrading from a current Prius to the 2016 would result in a savings of only about 50 litres ... a pretty nominal $75/year at $1.50/litre fuel price levels. The gas mileage seems almost nothing when compared to the political baggage the car comes with. Motorcycle and car drivers often talk about 0-60 mph times with differences of .1 second. That is also well within driver technique variation. Numbers like that are more to do with bragging rights than any real world advantage. Still, $75 could buy a nice bottle of Scotch. That was a very comprehensive review. They said it would go on sale in January in the US. Looks like it will also be available in a lime green. Maybe I better see the Toyota dealer about when they start to take orders. Looks like they have the prices set already. That commercial is so embarrassing. And they are going to show it during the Superbowl. At least Toyota is keeping the price down, in Canada it will start at $26,000 almost the same as the US. But it seems they are not for sale in Canada just yet. There are a lot of nasty comments about the looks of the Prius quoted in the article, also following the article. If looks are that important, then obviously people should just avoid buying cars that they consider to be ugly. I think the car looks OK and we're still planning to get one, despite the fact that Toyota is not bringing the highest mpg "Eco" version to Canada, and despite the statement on the Toyota website that the upscale models of Prius will only be available in Toronto, Montreal, and Vancouver. It seems that the "heck on wheels" ad was not the one they showed at the superbowl. Instead it was the bank robber car chase, a much better ad in my opinion.